Posgulf.com is offering both label design features and printer configuration tools to enable printing, ZebraDesigner Pro brings new ease of use and power to the desktop. Built on an entirely new platform and offering the most frequently needed features, ZebraDesigner Pro introduces a new level of access to printer capabilities than previously available. Designing a label has never been easier! With the help of the new ZebraDesigner Pro Design and RFID Wizards, it's easy to create complex labels based on fixed or variable data. Also gain greater control over printer settings and memory using ZebraDesigner Pro's printer configuration. 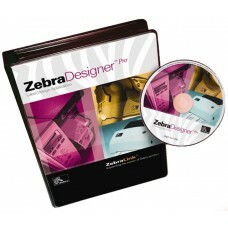 Installing ZebraDesigner Pro is easy - no hardware key is needed to get started. And you can count on the optimized printer drivers to fully leverage the power and flexibility of Zebra's full line of printers.